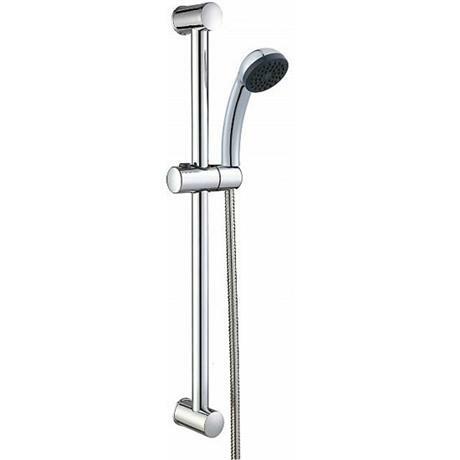 This kit is designed and manufactured by leading shower and accessories brand Euroshowers. The Easy spray set features a 600mm x 19mm chrome plated central slider rail, it also comes complete with a 1.5m chrome plated shower hose and Easyspray Shower headset. The Easyspray head is a simple single function handset that can be used with various water pressure systems. Your Questions & AnswersThanks for your interest, unfortunately due to this item being discontinued we are no longer accepting new questions.